The rebels are certainly very busy today! 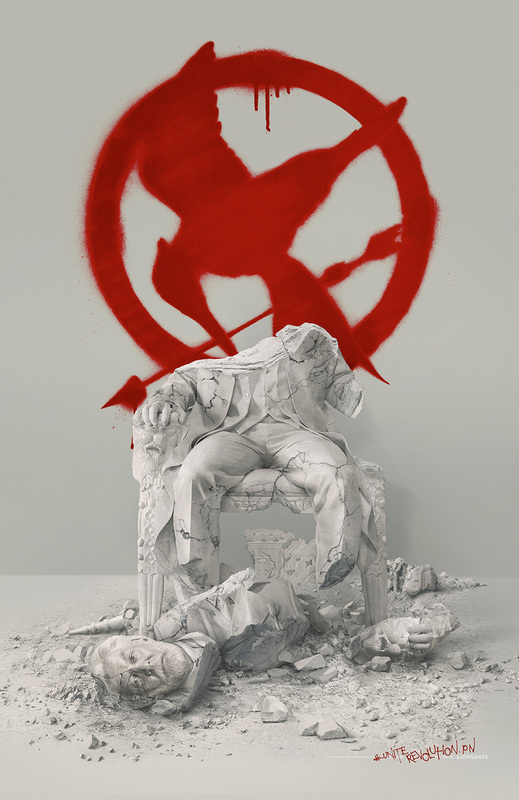 The front page over at TheCapitol.PN has been hacked, featuring a fantastic image of the President Snow statue in ruins with a red Mockingjay symbol behind. The Capitol must fall so we may be free. Download the poster in UHQ on our updated images page. Head over to TheCapitol.PN for the full experience, and tweet using #Unite to show your support!